With warmer weather right around the corner, chances are you’re already making plans for spring cleaning and sprucing up your home. While you likely have all sorts of plans for the interior of your home, have you considered updates you can make outside? Installing a patio not only makes your outdoor space more livable, it also adds value to your home, making a patio a worthwhile investment now and in the future. For all of your patio needs, be sure to work with a reputable Houston concrete contractors company that can get the job done right. You want to ensure that your patio lasts for years to come. If you’re considering the idea of having a patio installed, here are benefits you’ll want to know about. Having a huge backyard is one of the greatest parts of being a homeowner, but, there’s only so much you can do with land. To get the most out of your acreage, have a patio installed! This expands your home’s living area and allows your family to have yet another place to spend time. A patio can be turned into a fun outdoor oasis that’s perfect for barbeques, parties, or even just for relaxing. Once you have a patio installed, be sure to make it a functional area. Adding outdoor furniture and other personal touches like a fire pit or a flower bed will turn this outdoor space into your favorite spot this summer! We all want a home that looks nice both inside and out. By having a patio installed, you’re able to give your home a huge curbside appeal boost. This is not only useful as long as you live in the home; curbside appeal is critical when it comes time to sell. The more appealing your house looks, the more likely it is that buyers will be interested. In fact, a National Association of Realtors survey found that patios are one of the top features that buyers look for in their dream home. With added curbside appeal comes an increase in your home’s value. The higher your home’s value, the more likely you are to make a good profit when it’s time to sell. While a patio may not add a lot of square footage to your home, the fact is that many buyers enjoy outdoor areas. The key to getting the most value out of your patio is to get quotes from concrete companies in Houston that offer patio installation. You want to ensure that your patio is designed and created by contractors that are highly experienced and skilled. 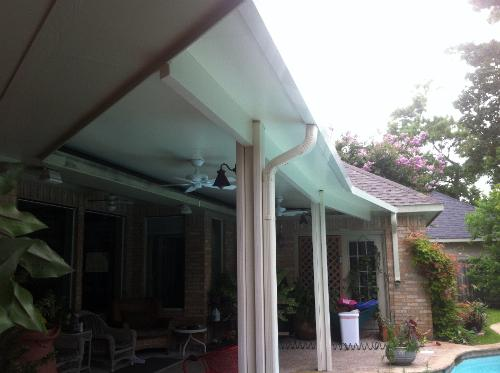 The higher quality the patio is, the longer it will last and the more value it will add to your home. In general, patios are extremely low maintenance, especially if they’re installed and designed properly from the get-go. Patio upkeep typically involves sweeping to remove any dirt and debris, as well as taking care of any outdoor accessories like furniture. To make your patio more long-lasting, consider sealing the patio floor with an outdoor sealant, as well as washing the patio to remove mildew, pollen, and other natural occurrences. Taking care of your patio is crucial if you want to maintain its value. At first thought, choosing a patio shouldn’t require too much thought and planning, right? Wrong! As with any other home renovation or improvement project, it’s important to take many factors into consideration, such as return on investment. Before having a patio installed, you want to ensure that the price is worth it; otherwise, you risk losing thousands of dollars when it’s time to sell. For example, let’s assume your home is worth $300,000, as are most homes in your community. You don’t want to spend $50,000 on a patio. You’re less likely to recoup those costs. As a rule of thumb, stick to a patio that falls within 10% of your home’s value. In this case, a patio worth around $10,000 or less is most likely to recoup a large percentage of the cost when the house is sold. Your patio needs to be spacious, but the overall size of your backyard plays a huge role in the size of the patio. You don’t want to install a huge patio in a small backyard. This can make the yard you do have look even smaller. A large patio in a small backyard also reduces the amount of greenery and natural feel that your home has. 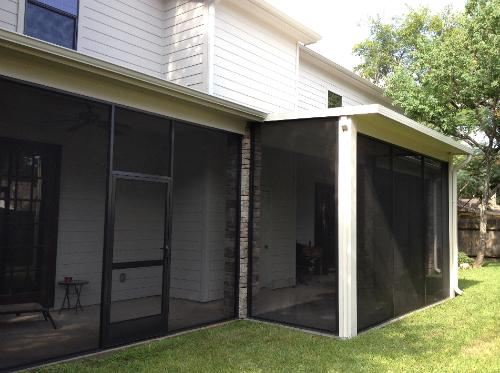 Installing too big of a patio can decrease your home’s appeal. If you have plenty of square footage to work with, be sure that the patio you install is big enough to fit all of the planned accessories. You never want a patio to feel cramped or not be spacious enough to host all of your guests. With an efficiently designed patio, you can enjoy a serene and relaxing outdoor area for years to come. Chances are you’ve already looked at social media to get patio design ideas. In order to make your patio as appealing as possible, stick to a look that flows with the rest of your home. If you have a brick home, a brick patio will blend right in and fit the overall look perfectly. Aside from the materials used, you may also want to use accessories and outdoor elements that make sense. If your deck already has a grill, consider turning the patio into more of a lounging and entertaining area. By choosing a focus for your patio, you can design and decorate it to meet your needs. With spring right around the corner, now is the ideal time to get started on taking your backyard to the next level. By starting on your patio project now, it can be ready for summer! Imagine the memories you can create in your new outdoor oasis. If you live in the Houston area, look no further than CCS Concrete Driveways to install your patio. 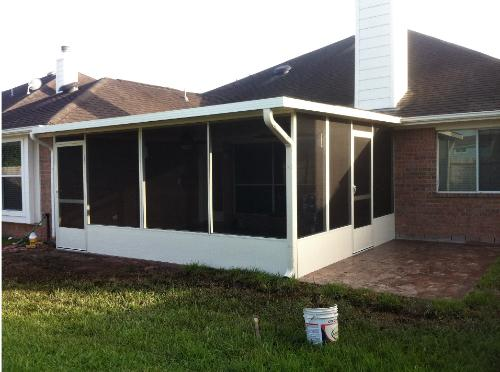 We not only offer Houston driveway repair services; we’re also experienced in designing patio rooms, patio coverings, and more.